Khao Khitchakut in stunning Chanthaburi is one of Thailand’s most beautiful national parks and home to a very important pilgrimage ceremony on the Buddhist calendar. On the peak of Khao Phra Bat mountain lies an imprint of the Lord Buddha’s foot and from Chinese New Year on the 28th January and Makha Bucha Day on the 11th February to the 28th March 2017 many Thai devotees will make a pilgrimage to the mountain top to pay their respects to this fascinating icon and enjoy a day basking in Khao Khitchakut’s natural beauty. 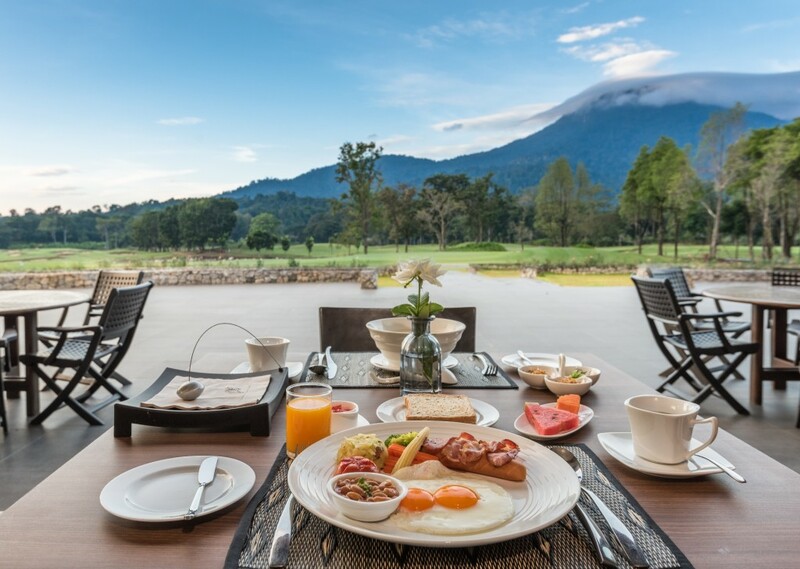 Chatrium Golf Resort Soi Dao Chanthaburi is the perfect base from which to visit Khao Khitchakut being just over an hour or 61 kilometres from the resort by car. 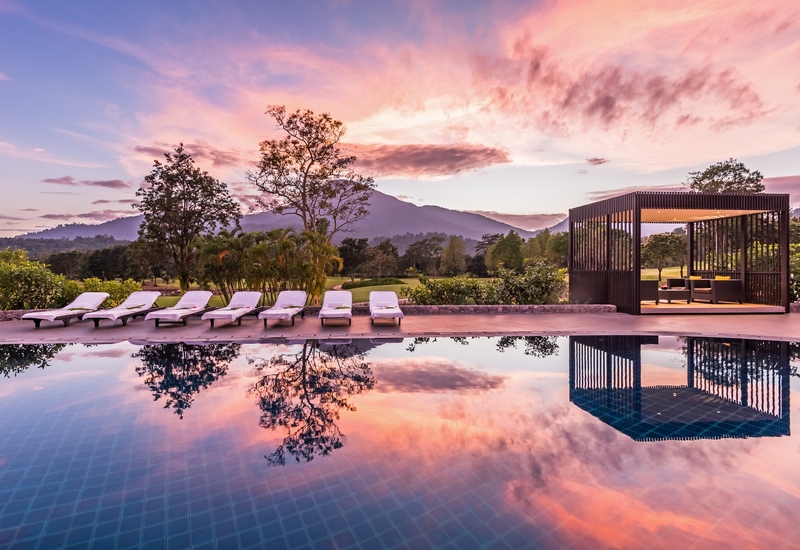 The property’s pledge is to be a “Breathtaking Highland Sanctuary” being located as it is in expansive, naturally beautiful grounds with the stunning surroundings of Soi Dao Mountain as the perfect backdrop. Guests will be pampered throughout their stay with opulent accommodation including a large swimming pool and superb 18-hole international class golf course designed by golfing maestro Denis Griffiths with recent upgrade by the award-winning team at GolfEast. 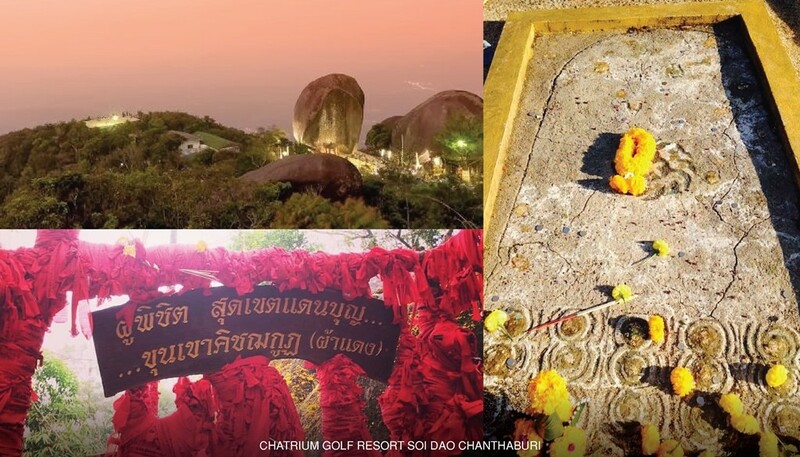 And to make this special once a year pilgrimage ceremony even more special from now until March 31st, 2017, Chatrium Golf Resort Soi Dao Chanthaburi has some irresistible room promotions. 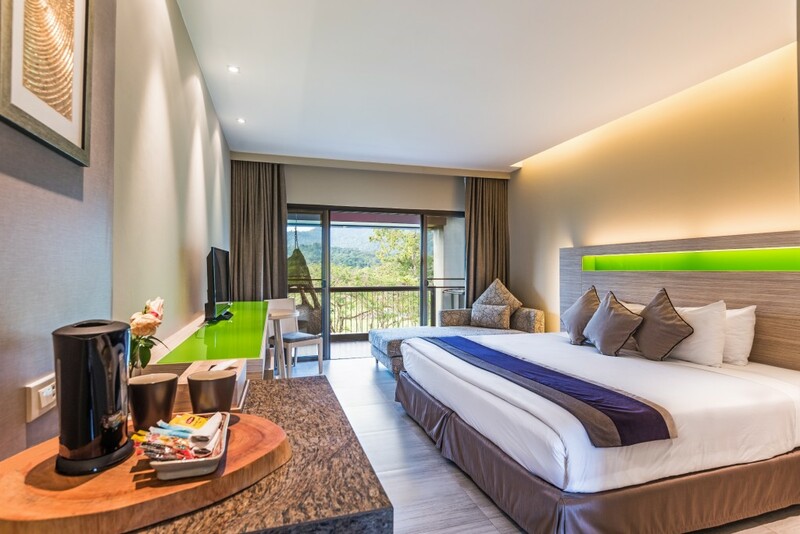 Indulge in the true beauty of nature with the best offer for a deluxe room at only THB 2,099 including breakfast for 2 persons and free Wi-Fi plus a welcome drink upon arrival, free bike rental and a complimentary golf course tour in our 8-seat golf car. Join us and enjoy unrivalled views of the iconic Soi Dao Mountain and relax by the pool and experience our legendary hospitality during your trip to Chanthaburi. Kra-sue and is home to an abundance of flora and fauna, including barking deer and sambar deer, with herds of wild elephants occasionally being spotted. From the breezy peak the views are simply unmissable and on a clear day Chanthaburi town itself can easily be seen some 28 kilometres distant.